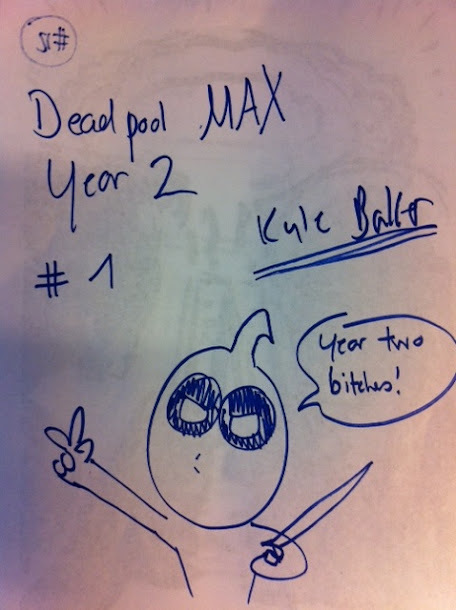 Recent solicitations have listed Deadpool MAX as a 12 issue series instead of an ongoing, but yesterday Marvel Editor-in-Chief Axel Alonso posted the image above on twitter, saying it was a cover sketch on Deadpool MAX editor Sebastian Girner's wall. Deadpool MAX writer David Lapham has confirmed on twitter that there will be a second Deadpool MAX series, with at least 6 issues and the possibility of more. Nothing has been official announced by Marvel yet, so there are no additional details available.